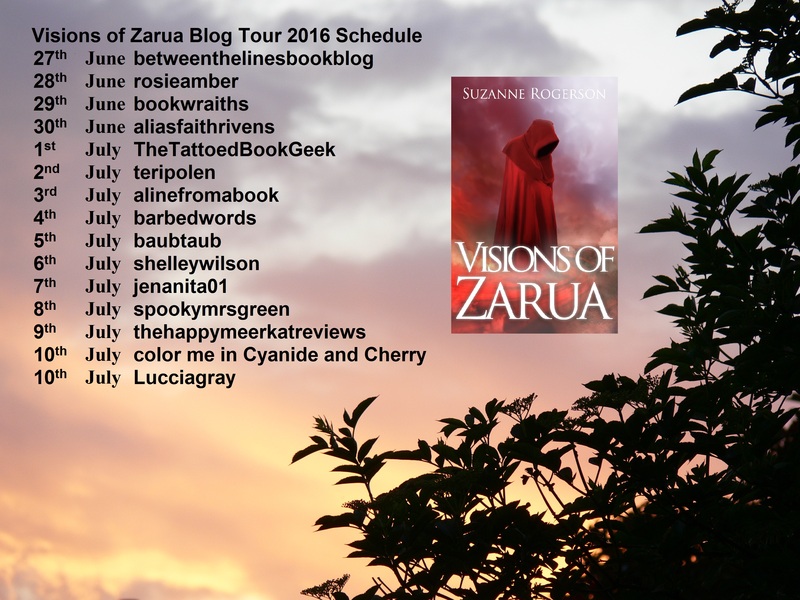 Welcome to day one of the blog tour for Visions of Zarua, Suzanne Rogerson’s debut fantasy novel. During the next two weeks there will be reviews, giveaways, excerpts, guest posts, Q&As and more, so please do check out the links listed below. Together they must save the realm of Paltria from Zarua’s dark past. An ancient darkness haunts the realm of Paltria. Suzanne lives in Middlesex, England with her hugely encouraging husband and two children. She wrote her first novel at the age of twelve. 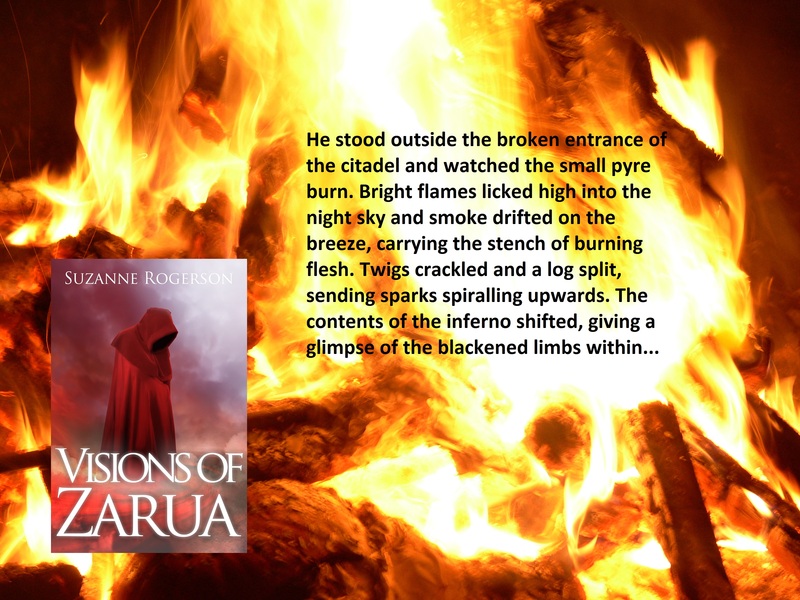 She discovered the fantasy genre in her late teens and has never looked back. Giving up work to raise a family gave her the impetus to take her attempts at novel writing beyond the first draft, and she is lucky enough to have a husband who supports her dream – even if he does occasionally hint that she might think about getting a proper job one day. Suzanne loves gardening and has a Hebe (shrub) fetish. She enjoys cooking with ingredients from the garden, and regularly feeds unsuspecting guests vegetable-based cakes. She collects books, loves going for walks and picnics with the children and sharing with them her love of nature and photography. Suzanne is interested in history and enjoys wandering around castles. But most of she likes to escape with a great film, or soak in a hot bubble bath with an ice cream and a book. Day one of the tour begins! My thanks to Cathy for making such a great introduction. Please stop by and join in the tour.